Gabrielle is probably best known for appearing on Series 8 of the 2012 BBC1’s reality programme The Apprentice. The Architect entrepreneur made it to week 10 and stole the hearts of so many of the shows viewers (us included) who fell for her refreshing creative spirit to business and that smile! 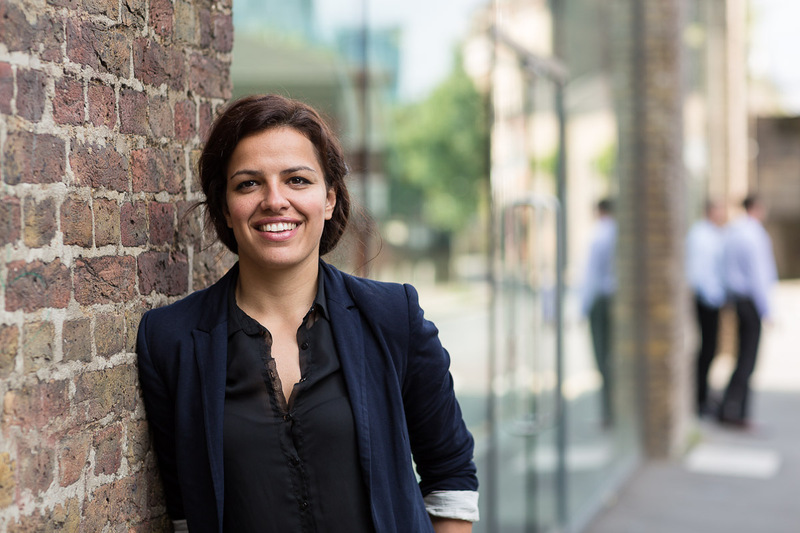 Gabrielle started the London-based practice Lolli & Square with Heba Layas in 2008 after being made redundant, and if you are to believe the Architects Journal, then she’s a woman on a mission to put Architects back on the map. 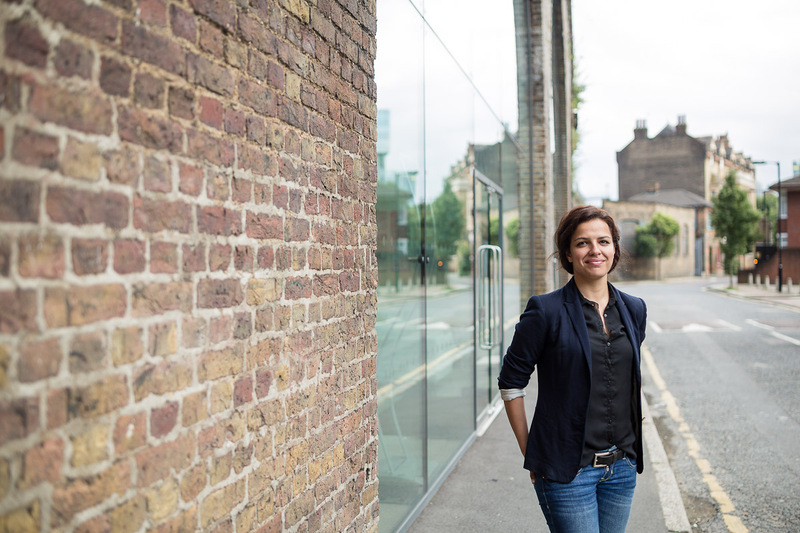 We were lucky to grab some time with this busy lady to ask three simple questions. We wanted her to be the first interviewee to kick off our ‘monthly musings’ series where we ask individuals who’ve been in the spotlight to give us their views on what ‘eco’, ‘modern’ and ‘business’ means to them. We think she’s perfectly demonstrated thinking outside the box, bringing all your talents to the table to grow what you believe in and getting out there to get people talking. So, let’s get started! So, what does ‘eco’ mean for you right now? Over the years ‘Eco’, ‘Eco-friendly’ and ‘Going Green’ have become very fashionable to use when selling pretty much anything. These have just been buzz words to help companies make their target audience feel like they are doing ‘their bit for the environment’ by buying their product or service. However we are now in a time when we are really seeing the effects of our years of abusing the environment come into play. Eco no longer means something fashionable, it starting to become a way of life. As an individual I do my bit such as turning off unnecessary lights and recycling, but as an Architect my job is very different. It is different because I both need to look at the individual as well as the community, and HOW they interact with their environment and produce solutions that will be both functional yet sustainable. Sustainable Housing to us Architects means using the latest technology and equipment, to prolong the life of the building, and reduce your carbon footprint. That being said, it’s not as easy as building timber houses everywhere. Yes it’s true that for every tree sacrificed to build the house we can plant enough trees to put the carbon back into the atmosphere, and the house ‘looks eco’. However for Architects it’s not as simple as that. We need to take a future thinking approach, such as making sure that the house is still ‘Eco’ for years to come. This means we need to look at what the timber will be treated or painted in for the carbon cost to stay low. We need to design the building for longevity so that the chance of the timber warping for example and therefore does not seal draughts effectively (hence more heating) is minimal. So as an Architect, Eco means helping to reduce your carbon footprint from the smallest of details to making this work for as long as possible, as well as educating its occupants to maintain this easily and effectively. And the best thing for me as an Architect is that this sets amazing challenges which means great creative ideas are needed which can be both fun and inspiring. How do you interpret the term ‘modern’ right now? What’s the hardest lesson you’ve had to learn about business in the real world? The hardest lesson I have learnt in business is that without having a choice of clients you risk jeopardising your companies’ standards. In other words, when we first started, we said yes to every client. These jobs became ones that weren’t mutually beneficial to both of us, but more us serving the client with lack of payment and benefit to us. We became slaves to our own work, sometimes working for very little or no money in order to keep the client happy and to retain the jobs. Looking back I have realised that this was not needed. If we had gone out and networked a lot more to obtain a pool of options when it came to clients then we would have been able pick and choose jobs that were mutually beneficial. Having more people approaching us more often, or within our thriving network, means that we as service-providers are in charge, as opposed to falling at the feet of the first prospect to come and offer us a job. So in summary getting out there and meeting the right clients makes all the difference.